You need a company that can be there for you whenever you experience a catastrophe. With SERVPRO of Monroe, Randolph & Washington Counties, you can get comprehensive support from experienced and certified restoration technicians 24/7. We can help you to overcome the damages from disasters like water loss, fires, flooding, mold growth, and more. Our dedicated team has state-of-the-art equipment to exceed industry standards and provide other cleaning services. Our quick response during times of disasters have made us a premier choice for homeowners and businesses seeking quality restoration work designed to limit impeding on your life. People are important to us. When I think of SERVPRO, I think of restoring lives and not just restoring structures. When people experience a catastrophe, they carry on stress, worry, and fear. We can help carry those burdens on our backs so that you don’t have to. We live and work in this community too; we might even be neighbors. 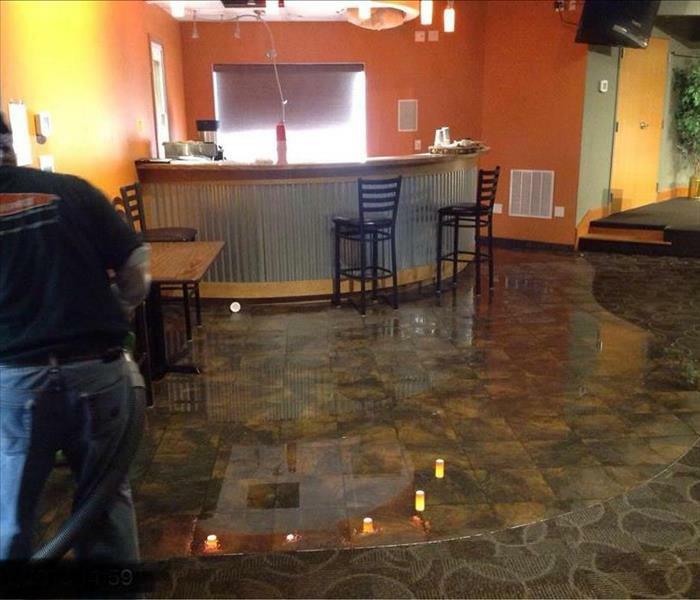 As a locally owned and operated business, SERVPRO of Monroe, Randolph & Washington Counties is close by and ready to respond to your cleaning or restoration needs. We are proud to be an active member of the Columbia, IL community and want to do our part to make our community the best it can be. This local church was in need of a miracle!